Are you ready for the recruiting process? Mike Schmidtmann provides the insight and material you need to conduct successful interviews. In addition, he can assist you with the decision-making to select the best candidates. Mike prepares you and positions you for success as you build your sales team. Mike’s recruiting Certification Program teaches, reviews, and certifies your sales leadership on each important skill in the sales recruiting process. 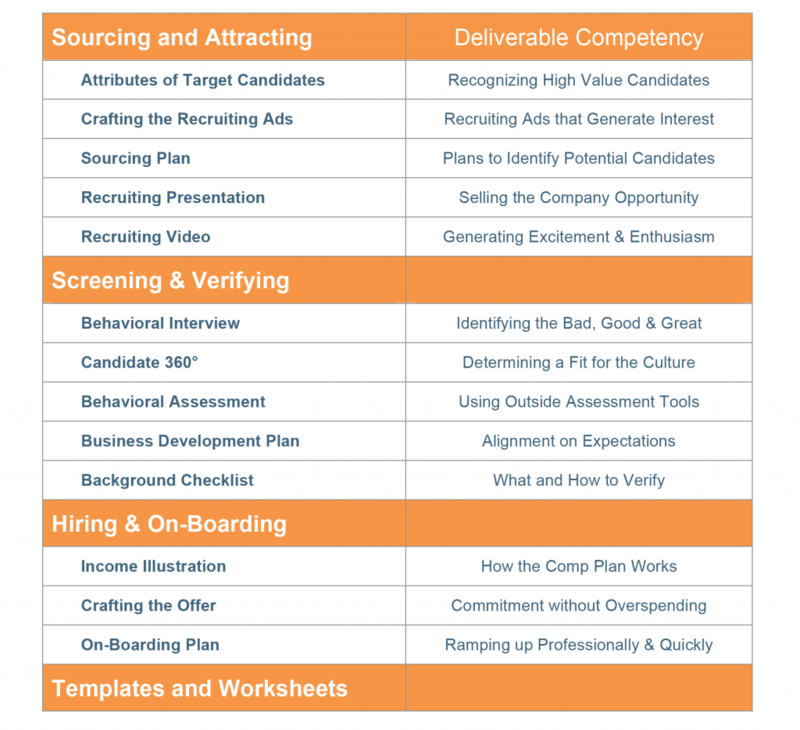 A complete hiring cycle typically runs two to three months. This includes attracting, screening, hiring, and on-boarding one or more salespeople. Once this certification process is completed you will have all the tools and skills needed to build an ever-larger elite sales team.